In late December at Jump Festa 2016, journalist Katrine Baumgardt of Gamereactor DK interviewed Digimon Story Cyber Sleuth producer Habu Kazumasa. Habu, who was dubbed over a translator for the interview, discussed his approach in designing the game to recapture former fans that had grown up with Digimon. 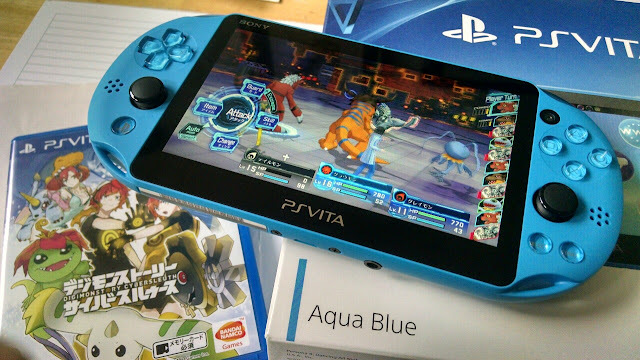 Rather than the fantasy tone of past games, Habu gave Cyber Sleuth a science fiction slant that would deal more in the real world and in the Digimon's true nature as computer viruses. As in his numerous past interviews, Habu emphasized that the decision to localize Cyber Sleuth was motivated primarily by the Operation Decode fan petition. In choosing which Digimon players could choose to start the game with, Habu avoided choosing the most popular Digimon, instead making the iconic Agumon and Gabumon play a key storyline role. The starters for Sleuth were instead based around the traditional Vaccine-Virus-Data element triangle, which has had a background role in the Digimon games for many years. Habu also explained that as players clear the game additional times, they will be able to gain additional items and Digimon with each successive playthrough. Digimon Story Cyber Sleuth will launch on the PlayStation Vita and PlayStation 4 in North America on February 2nd, 2016, and in Europe on February 5th, 2016. (In the interview, Habu says February 4th, but all previous information from Bandai has stated the 5th.) First print copies of the game will come with downloadable content for Beelzebumon Blast Mode and Cherubimon Vice, two new Digimon exclusive to the international versions of Cyber Sleuth. While the Vita edition in North America and Europe is digital-only, the launch DLC will be available through the end of the month, and import seller Play-Asia is stocking a physical Asian-English edition of the game. The game is rated T in North America, and PEGI 12 in Europe. Awesome news. Getting more and more hyped about this game! Go to the leftmost terminal in the DigiLab, the orange one, and from there you can access the online coliseum.